The author wrote: Insurance is bought solely for protection against the 3Ds (Death, Disability and Disease). 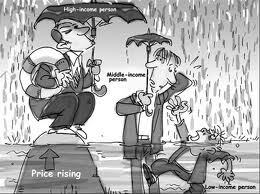 Sadly, most Malaysians buy insurance policies as a form of retirement plan or child education plan. I don't quite agree. Insurance is just a tool for people to manage their finance. The original and primary purpose of Insurance is Protection, but it serves more complicated functions and purposes nowadays as compared to those day where life is still simple. The rich can park a portion of their fund into life insurance company for two main reasons: Asset allocation with protection and risk-free tool for better than bank's return. I know many of you will argue that you should invest the money instead of park with insurance company (and disagree because of knowing agents are earning commission), it is common believe that one should invest and invest... however, when there are too much money and too little time - would you rather to enjoy life than always do this and that just to earn a little bit extra return for ALL your money? along with the mistakes made within the policy response.